We are a formal group of 165+ angel investors who are former and current high tech executives interested in investing their time and money into new, cutting edge, startup companies. Since the Band's inception in 1994 as the first organized angel investment group, we have funded 400+ companies in our history with 61 profitable M&A exits and 11 IPOs. 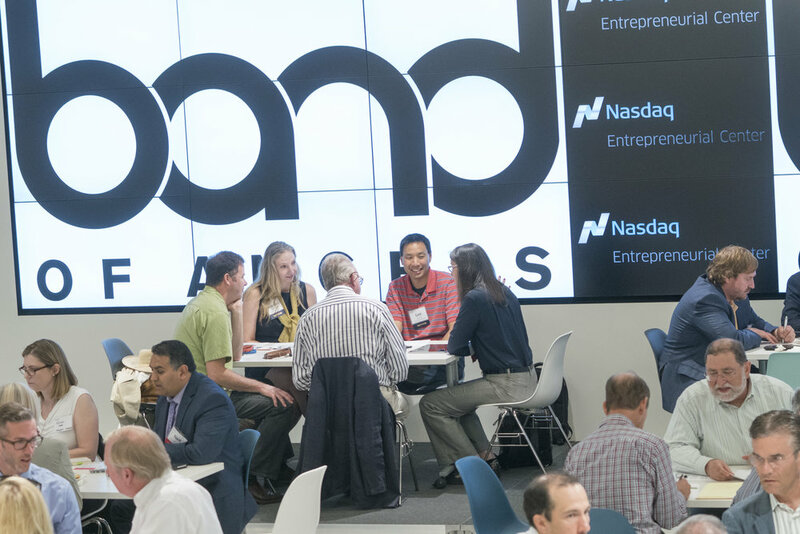 The Band meets monthly in Silicon Valley and San Francisco to formally consider 3 startups selected from among more than 50 that are screened each month by the Band deal selection process. Most of the Band's investments receive mentoring and guidance from Band members. 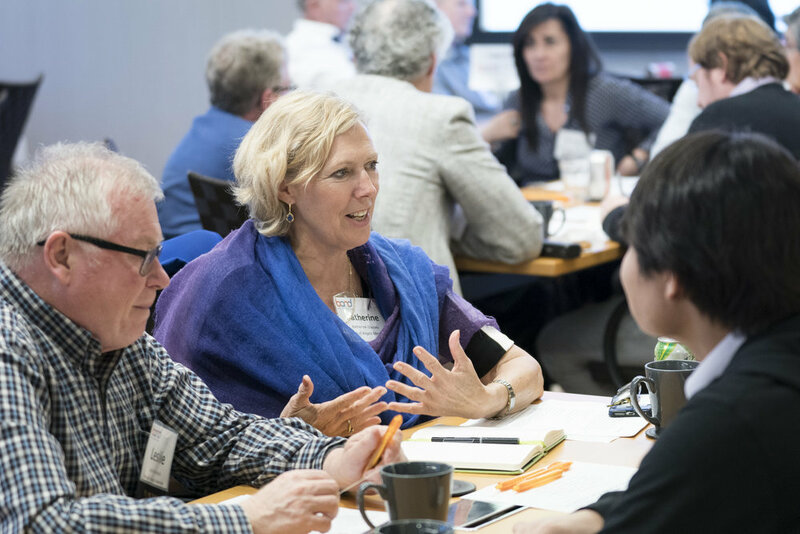 The industry-specific Special Interest Groups (SiGs) meet monthly and Mentor Day is a key annual event where startups receive one-on-one mentoring. The Band meets monthly to formally consider 3 startups selected from among more than 50 that are screened each month by the deal selection process. Band members collaborate in the due diligence and invest as individuals. The Band works well because of the exclusive and experienced nature of its membership. The members are generally sucessful high technology founders or executives that are interested in investing in high-risk startups. There are many great programs that teach entrepreneurs how to be successful in raising venture capital – but Angels are not VCs and the same rules and expectations simply don’t apply. If you would like to learn more about presenting to the Band, please email deals@bandangels.com. The Band is primarily focused on seed stage high technology and life science companies with strong teams, proprietary technology, and big markets. We do not invest in consumer products, real estate, restaurants, retail, or funds. The Band invests in the range of $300K to $750K, but often leads a syndication of $1-1.5M. The largest investment ever made by the Band was $3.3M. Valuation depends on many things but few companies successfully raise financing from the Band at valuations greater than $10M. One of the initial criteria that we use to evaluate deals is location. Our preference is to invest in companies located in Northern California so that we can remain active with our portfolio throughout the early stages of development. To start the process, please complete this online application form. The Band charges no fees from presenting companies, in fact, if you are invited to present at a Deal Dinner and Second Look Lunch, we host you as our guest. If you submit a plan for review to the Band it will be forwarded to a Pre-Screening Committee. This committee is made up of experts from every high tech category including digital media, fintech, life science/medtech, semiconductor, software, and telecommunications. The committee reviews close to 50 plans a month and selects 6 for an invitation to the Deal Screening, held on the last Wednesday of each month. There, 7 Band members (one from each major discipline) will ask you questions about the company for 15 minutes to better understand the printed material. The Deal Screening Committee selects 3 companies and a runner up, for presentation to the Band of Angels. The 3 selected companies present to the monthly Band of Angels Deal Dinner meeting held on the third Wednesday of the month in Los Altos and a repeat presentation at the "Second Look" Lunch held the next day in San Francisco. In the two weeks between the Deal Screening selection and presentation at the Band meetings, the companies receive free value-added preparatory services to help refine both the written and oral presentations in preparation for the Band presentation. The Band meets monthly from January to November; there are no presentation meetings in December. Band members invest directly; they collaborate in the due diligence but make individual investment decisions. Within a week of their presentation, most companies that present to the Band would have scheduled a follow up meeting with interested members to start due diligence. This also provides an opportunity for an organized syndicate of individual angels to be formed for the purpose of evaluating the company, negotiating a set of terms, and executing an investment. As an added value to the Band funded companies, the Band has partnership with Amazon Web Services (AWS) to provide any Band funded company with the same benefits given to companies in the Amazon AWS Activate program. View the recent portfolio companies. Band members are generally successful high technology founders or executives, are accredited investors, and have an interest in mentoring and investing in high-risk startups. The Band works well because of the exclusive and experienced nature of its membership. The key advantages to the Band are improving your deal flow, having colleagues to share diligence and opinions, and distributing risk across a number of deals. A deal that garners investment from the Band gets much more than money. It gets the involvement of a group of individuals whose networks and experience can be much more valuable than their seed capital. Typically, every company that receives investment from the Band also gets a Band member to serve on the company's Board. If you would like to learn more about Band membership, please email BandHQ@bandangels.com. Membership is by invitation only. Generally, one must be sponsored by a current member who knows the new member and can recommend them. Nevertheless, we do accept new members initially unknown to the group and all who fit the criteria and have an interest are encouraged to consider the group. Angel investors that are interested to apply for membership with the Band are invited to attend a Band Deal Dinner, Second Look Lunch, and a Special Interest Group (SiG) that is in the industry area of their expertise. View the calendar of upcoming meetings. The membership process includes completion of a Member Information Form and meeting with several members of the Membership Committee for informal conversations. These meetings are a great opportunity for prospective members to learn from the members about the Band process and their membership experience. It is readily apparent by all sides if a fit exists and, if so, an invitation is extended. The culture of the Band is to recognize that its members have led serious careers and can decide for themselves how best to use the opportunities made available through the Band. Hence, there are no firm performance criteria on the membership. Nevertheless, it is generally expected that members attend a third of the meetings, invest in one deal per year, help with diligence on potential investments, make their networks available to each other, keep confidential information confidential, and strive to maintain the Band’s conviviality. The Band provides its members enhanced deal flow, better due diligence, and the negotiating power of indirectly pooling capital. The group also provides a forum for fellowship of like minded successful people. Investing in seed stage companies is very risky. The Band brings together at one place and time some of the most successful people in Silicon Valley; folks who have walked the walk. By sharing their experiences and judgments the assessment of potential companies is quicker and more accurate. Each member is often a recognized source of capital in their own communities, so each brings to the Band a unique source of new deals. Band of Angels, in partnership with Hanson Bridgett, is pleased to host a mentoring session for startups interested in raising Angel capital. Mentor Day is open to companies in any sector or industry. Startups are invited to sign up for a 45-minute meeting with one or more Band of Angels mentors to receive no-risk feedback about the readiness of their venture for Angel investment. Startups may also register to meet for 30-minutes with a Hanson Bridgett attorney on legal topics related with entity formation and governance, debt and equity financing, M&A, dispute resolution, and intellectual property. Who is this event for? Mentor Day is for startup founders considering raising Angel capital. Format: Private one-on-one meeting between a startup founder and one or more Band of Angels members. Concurrently, Hanson Bridgett attorneys will hold mentoring sessions on legal topics. Please note: Applications are now closed. The invited startups will be notified by April 22nd.